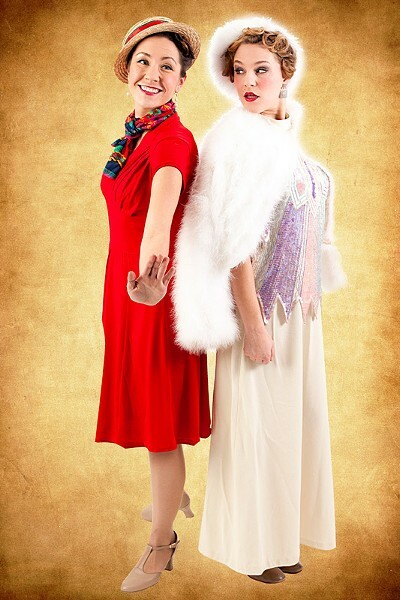 Photo by Marty Nott Emily Putnam and Courtney Maxwell in "42nd Street." The Rochester Association of Performing Arts, beginning this weekend, will have two spectacles running onstage at the Kodak Center for Performing Arts. On the main stage, Premier Productions and RAPA will present the Broadway musical "42nd Street." The story follows Peggy Sawyer, a young actress just off the bus in New York City, as she dreams of Broadway stardom. After an unfortunate mishap — when the lead actress breaks her ankle — Peggy gets a shot at success. Directed by Judith Ranaletta. And in the Studio Theatre, RAPA's Family Theatre series will stage C.S. Lewis's classic "The Lion, The Witch, and The Wardrobe." This show transports audiences through the wardrobe in the "spare 'oom" to snowy Narnia, a country trapped in winter time under the spell of the Witch. Directed by Eric Johnson. Both "42nd Street" and "The Lion, The Witch, and The Wardrobe" will be onstage Saturday, April 22, through Sunday, April 30, at the Kodak Center for Performing Arts, 200 West Ridge Road. Times vary. Tickets for "42nd Street" are $29.50-$49.50; "The Lion, The Witch, and The Wardrobe" is $10-$20. 254-0073; kodakcenter.org.